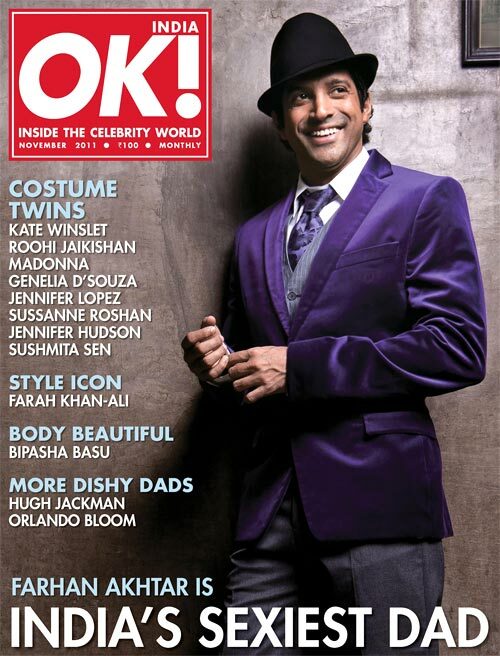 There are very few things that Farhan Akhtar can't do. 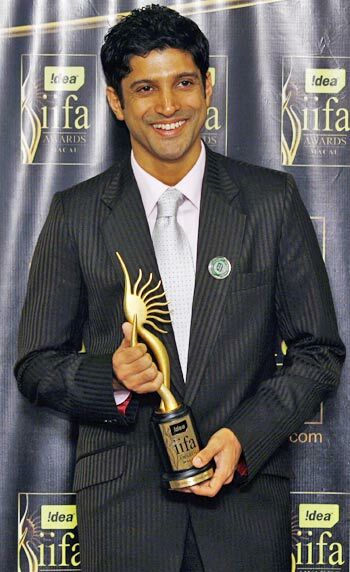 After his debut as director and writer with Dil Chahta Hai 11 years ago, Akhtar has acted, done playback and even written lyrics. 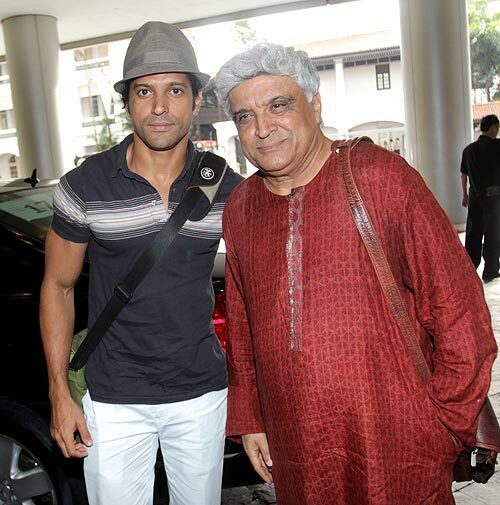 His last directorial venture, Don 2, joined the 100-crore club and his performance in Zindagi Na Milegi Dobara was an instant hit with movie-goers. 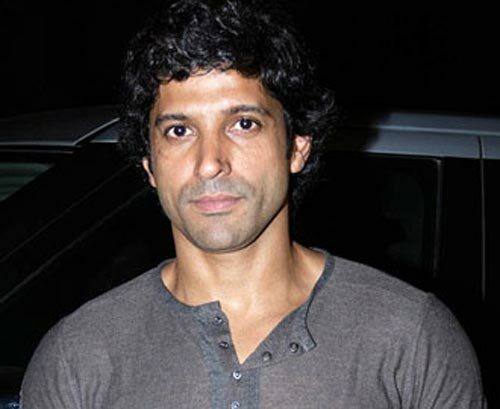 The 38-year-old-actor is currently training and shooting for Bhag Milkha Bhag. Directed by Raykesh Omprakash Mehra, the film is a biopic on the life of famous Indian athlete Milkha Singh. In this exclusive interview with Sonil Dedhia, Akhtar talks about preparing for Bhag Milkha Bhag, becoming the face of Titan Xylys and his wish to see father Javed Akhtar make a comeback as a scriptwriter. You are currently shooting for Bhag Milkha Bhag. How is the film coming along? I would say we have almost completed half of the film. We will start our next schedule in September and hopefully wrap it up by mid-November. What interested you about the film? It was the man's life. It's an amazing story that needed to be told. It is very inspirational and at the same time it is filled with a lot of aspirations too. The people who are working on the film are also very attached to it and I believe the youth of the country needs to see and hear a story like this. It was impossible for me to say no to Bhaag Milkha Bhaag (BMB) when I heard the story. As an actor I am extremely fortunate to portray Milkha Singh on the big screen. 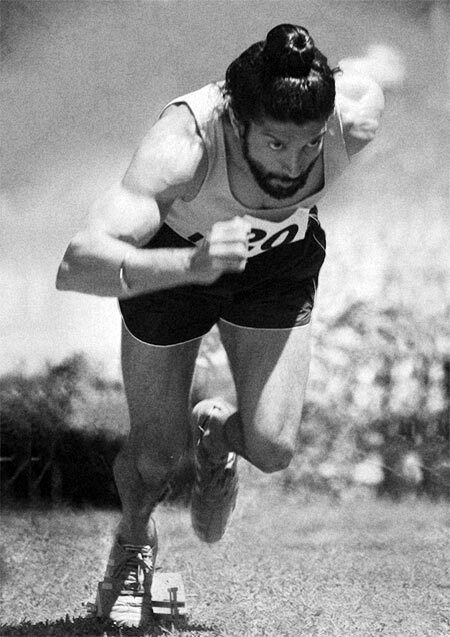 A part of your research for the film was to meet Milkha Singh. What did you learn from him? I think the most important thing that I learnt from him is understating the degree of hard work and dedication that was needed to achieve what he achieved. He had a simple and deprived beginning. He didn't have the best start in life. He has worked tremendously hard and put himself in torturous situations to reach where he is today. I genuinely feel many people in today's time would shy away from going through what he has gone through in his life. Physically, you have gone through many changes to get into the skin of the character. I knew it would be a tough film to do, with a lot of physicality involved. My physical looks have to be changed twice in the film. At the same time the film is about an athlete so I had to look athletic. When I think about it, I always feel that Milkha Singh did it for years and I am just giving one year of my life to it. It served as a great impetus and motivation for me to genuinely push myself that extra mile to getting close to what his personality was like. The film is directed by Raykesh Omprakash Mehra. He had earlier offered you a part in Rang De Basanti. Why did you reject the offer? I wasn't acting back then and I didn't want to become an actor at that time. Now, in retrospect, I feel maybe I should have done it but it's too late for that. I think it is important to time yourself to make the right choices. It's not responsible to go ahead and say a 'yes' or 'no' on a whim. I would have had fun acting back then with all the perks that come with it, but I couldn't say yes to it because I was not ready. When I made my debut as an actor in Rock On!! I was confident to get in front of the camera. You didn't act in any of the films you directed initially. Why? I was doing what made me happy and at the same time I was capable of doing it. I am not trained to be a director or an actor. I have learnt everything by watching other people work and studying their work. I was interested in writing and watched a lot of movies. I learnt a lot when I started my journey into films. I worked with people like Aamir Khan, Amitabh Bachchan, Shah Rukh Khan and many others, which helped me gain a lot of knowledge. You have become the brand ambassador of Titan Xylys. What made you endorse the product? Xylys is India's very own Swiss-made watch, which makes it special. The brand is communicating about how important the design of a watch is, which is very important in any field. There is a certain degree of design involved in the kind of work that I do and if it is good then what I am trying to achieve will happen. Talking about time, delays are an inevitable part of your line of work. How important is time for you? You have caught me on the worst possible day because I arrived late for my shoot (laughs). Jokes apart, I have been working for 11 years and in all these years, I can count the number of times I've been late for work on my fingertips. Time is extremely important to me. There is a saying, which is a cliche, but I would like to quote it, 'Well begun is half done'. I have seen at times when things start getting delayed the energy levels start dropping and the work efficiency comes down. You have spent more than a decade in the industry. What have you learnt? I think the biggest learning is that I have still not learnt enough (smiles). To me, cinema is an evolving medium. I don't think it can ever reach saturation point. I try and interact with people who are new to the industry as they are the ones who have fresh ideas. It's important to remember that in this industry you are always on a learning curve and there isn't any end to it. People have said that your films are not for the masses. I make films that I like making. I don't understand why people complain about my work and then go and watch my films (laughs). It's simple -- if you don't enjoy somebody's work then you shouldn't watch it. If I don't like something on television I change the channel. I don't think anyone can tell a writer or a director what attracts them. Do you revisit your films when you start working on a new project? I learn from people whose opinions matter to me. I work hard on my films and it is very difficult to have a completely objective view of them. It's important to have people around you who will give you genuine feedback. What excites you as a writer? I think it is the stories about people that excite me as a writer. Whether it is gossip or some article in the newspapers, everyone wants to know what's happening in other people's lives. I think that interest in people leads to movies. With the different kind of work you are into, do you set aside specific time for writing? I spend a lot of time developing scripts. As a production house we have directors like Reema Kagti, Zoya Akhtar, Abhishek Kapoor, who are working for us. We ideate a lot and we schedule it properly so that we can spend enough time on each script. 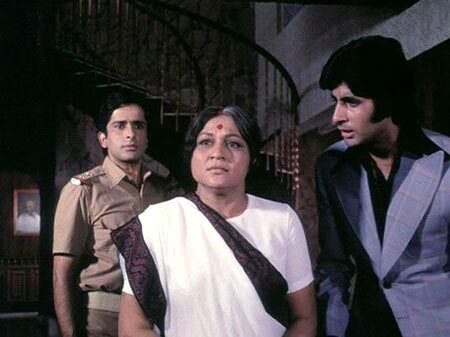 Apart from Lakshya, you haven't collaborated with your father Javed Akhtar as writer-director. Will we see that happening anytime soon? It's been eight years since Lakhya released and he hasn't written since then. I feel he should get back to writing scripts. A lot of people have also told him that. He still has a lot of ideas and even if he doesn't want to continue writing I think he should at least write a couple of scripts. He has his opinions on many things; I think if he brings it together he will be able to create a tight and interesting film. It would be nice to see him make a comeback. Do you send your scripts to your father for approval? I would be foolish not to consult him. In fact, he reads every script that Excel Entertainment makes. Even when I am writing the dialogues I sit with him to get his feedback. He has a wealth of experience and I am sure he dreams in Urdu (laughs) so to have access to that feels very fortunate. Your father came to the industry to become a director. Does he see his dream being fulfilled through you? Fortunately, we are not a family where parents live their dreams through their kids. He has a very busy life and is doing some good things for society. He is very content with it. I believe he always feels that he has still a lot more to do. I genuinely feel he should get back to writing. You remade Don, a film that was co-written by your father. Is there any film of his that you would like to act in? It is very tough but I am kind of drawn towards drama. It would have to be Deewar. And which role would you like to enact? Is it true that you are planning to make a prequel to Don? No, that is not true. There are no plans as of now to make a prequel. Recently, there were rumours about a rift between Reema Kagti and Aamir Khan for Talaash, which apparently led to the delay in the film's release. How true is that? The film is releasing on November 30 as scheduled. I don't want to waste my energy in imagining where these rumours have come from. Are you also doing Shaadi Ke Side Effects opposite Vidya Balan? Yes, I have committed to the film. I believe we will start shooting for it in the first quarter of 2013.